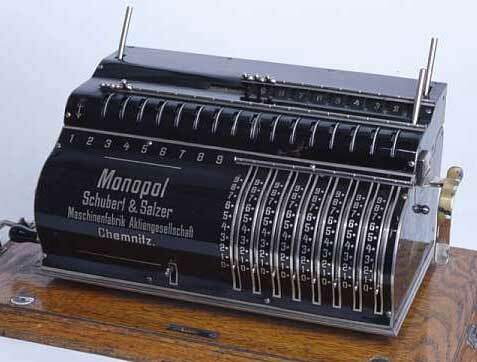 The german Wilhelm Küttner from Burgk bei Potschappel (near Dresden) received in 1894 a patent for a calculating machine (DE84269, 23.11.1894: Rechenmaschine mit Zwangsläufiger Bewegung der Registrirräder und des Tourenzählers), based on the pin-wheel mechanism, known in Europe as Odhner's wheel. Later Küttner received Swiss (CH9450, 07.12.1894), French (FR243015, 20.11.1894) and US patents (US patent 650066, 23.01.1895). The machine was the first pin-wheel machine that possessed tens-carry in the revolution counter, thus for the first time ensuring appearance of the correct value in the revolution counter not only in ordinary, but also in shortcut multiplications and divisions. 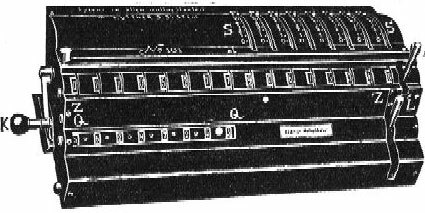 The machine was called Duplex by the inventor, and was manufactured under this name for some time by the company of Wilhelm Küttner and Woldemar Heinitz, Rechenmaschinenfabrik Heinitz & Küttner in Dresden. 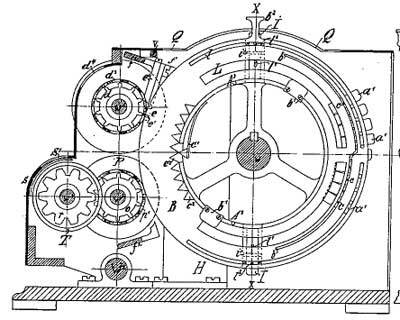 Woldemar Heinitz (1874-1946) was a brilliant Dresdner engineer, who also has a patent for an improvement in the mechanism of Duplex, as well as several other patents for calculating machines. Later on Küttner sold the manufacturing rights to other companies, and the device was manufactured untill 1914 under name Monopol by the companies Dresdner Kontrollkassen und Rechnungsfabrik in Dresden and by Schubert & Salzer, Chemnitz. There are also models with printing mechanism, as well as with electrical operation.